This entry combines comments on a passage from Jeremiah 29 with comments from a related passage from Isaiah 55. 12 Then you will call upon Me, and you will come and pray to Me, and I will hear and heed you. 13 Then you will seek Me, inquire for, and require Me [as a vital necessity] and find Me when you search for Me with all your heart. As I reflected on this familiar passage from the Old Testament, I thought of a statement made by Apostle Eric Warren, who mentioned, “Everything God gives you is to prepare you for your next assignment.” His statement has particular significance during this period of transition where find ourselves. As we ask God for guidance and direction, He will lead us and teach us all along the path that unfolds as a shining light that shines more and more unto the perfect day (Proverbs 4:18). 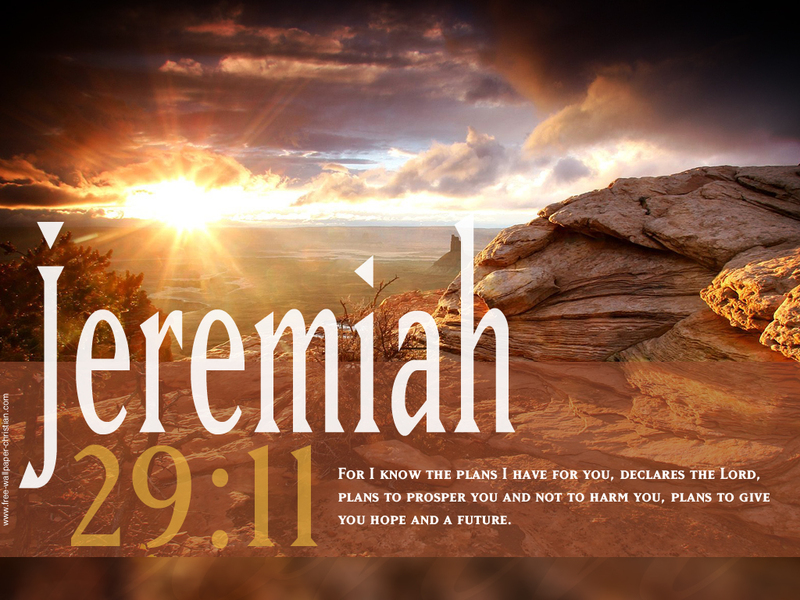 Jeremiah 29:11-13 also informs us of God’s concern for our future or “final outcome”, so that we need have no fear for our future. him that is in reputation for wisdom and honor. And we ask why until the day when all shall be made plain. The hearts of fathers to sons that our joy may be complete. And every knee shall bow before the mighty Judgment Seat. We find that the Lord’s return is much closer than we may think. This entry was posted on February 24, 2015 at 7:40 am and is filed under Application of Biblical Principles, Bible, Verse of the Day. You can follow any responses to this entry through the RSS 2.0 feed. You can leave a response, or trackback from your own site.